WASHINGTON, Jan. 7 /Christian Newswire/ -- The National Pro-Life Religious Council (NPRC) announced today the recipients of its annual Pro-life Recognition Awards. These awards are bestowed each year upon leaders who have made a significant difference in the effort to restore protection to unborn children. This year's recipients are Miss Nellie Gray, President of the March for Life, and Rev. Johnny Hunter, National Director of LEARN (Life Education and Resource Network). Rev. 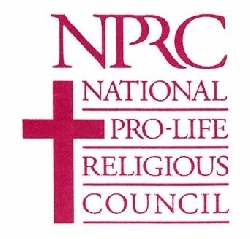 Frank Pavone, President of the NPRC, stated, "The March for Life has inspired countless people to commit themselves to the pro-life movement all year long, and Nellie Gray deserves a great deal of credit for organizing this event each year since 1974. Rev. Johnny Hunter has made a significant impact in mobilizing the African-American community to stand up for the equal rights of the unborn, and the momentum within that community for this cause is stronger than ever." The pro-life awards will be presented at the annual National Memorial for the Preborn, to be held in the United States Senate on the morning of January 22, the anniversary of Roe v. Wade. For information on the memorial service, see www.nprcouncil.org.